See more objects with the color grey dimgrey silver darkolivegreen darkolivegreen or see all the colors for this object. This is a Buttons . We acquired it in 1959. It is a part of the Product Design and Decorative Arts department. In the 1780s, men’s coat buttons became increasingly large and contained subject matter meant to invite curiosity, provoke conversation, and fulfill the need for novelty. In 1787, Baroness Oberkirch commented on this fashion: "The buttons of men’s jackets were no less bizarre. They showed portraits, such as that of the kings of France, the twelve Caesars and sometimes family miniatures. 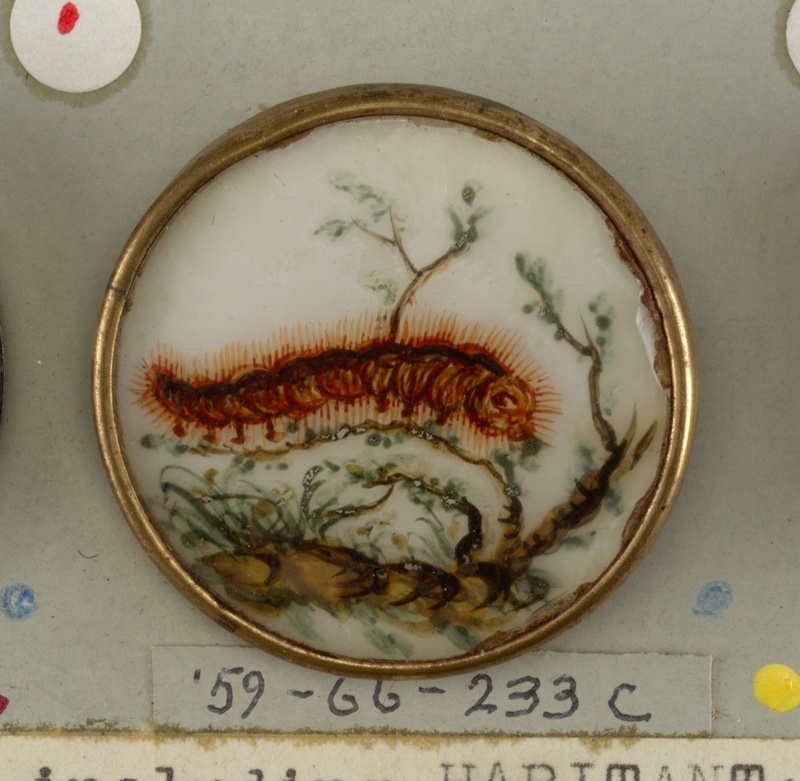 "Along with the aforementioned butterfly, other types of insects also became popular motifs on oversized buttons. This object was bequest of Julia Hutchins Wolcott. It is credited Bequest of Julia Hutchins Wolcott.